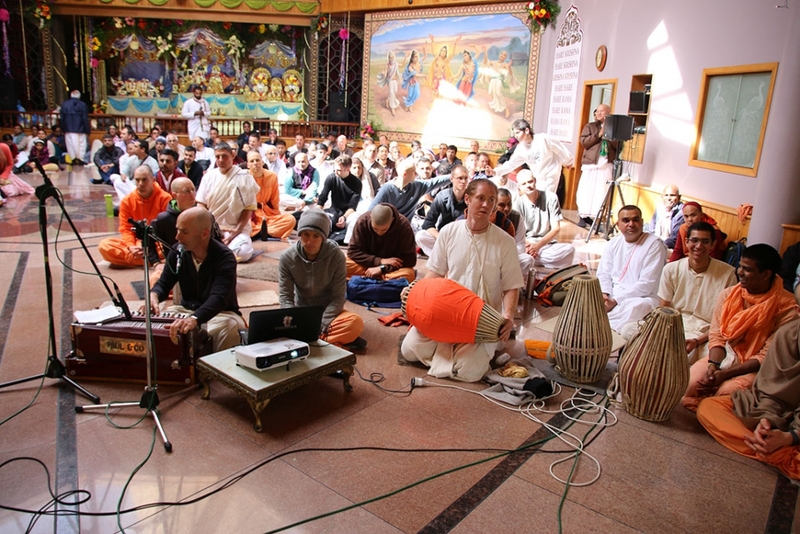 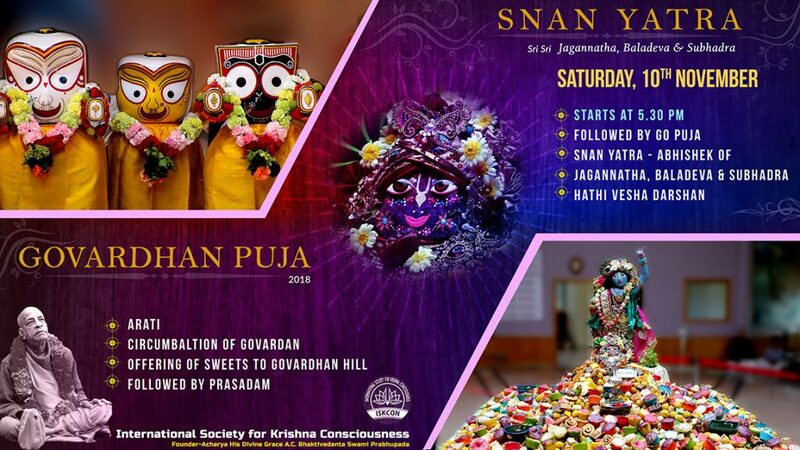 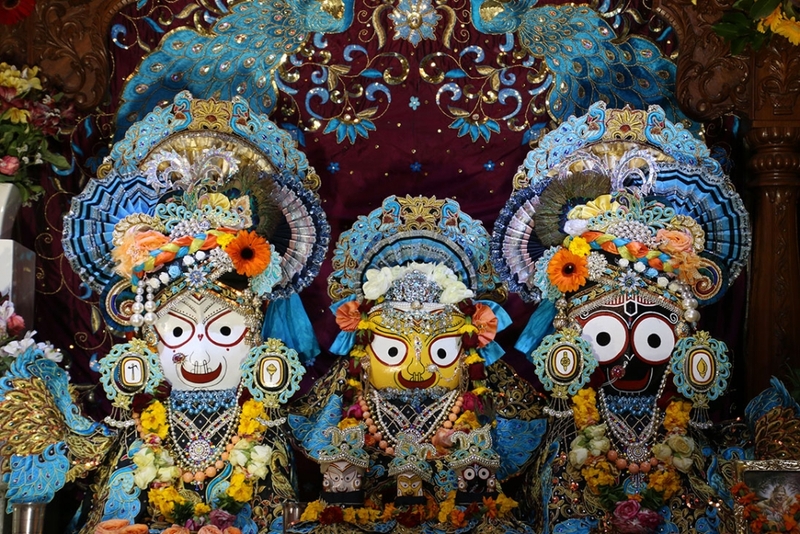 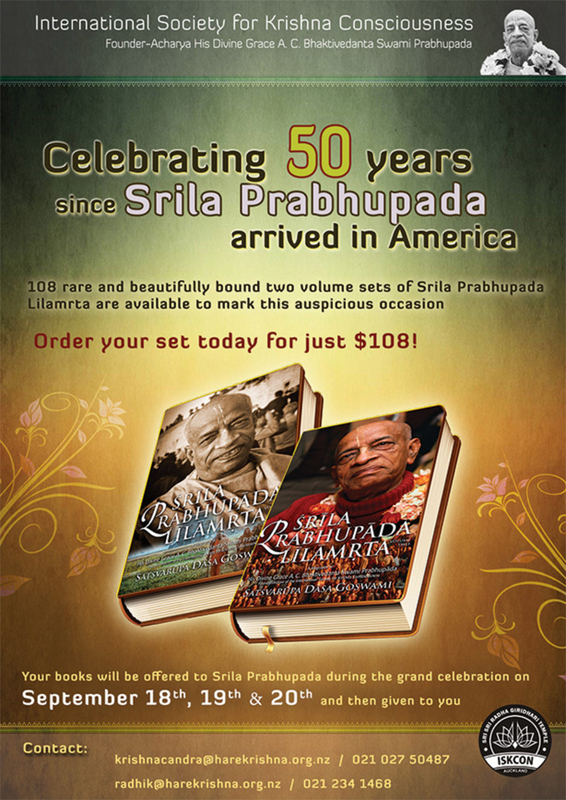 The International Society for Krishna Consciousness (ISKCON) was incorporated by His Divine Grace Srila A.C Bhaktivedanta Swami Prabhupada in New York on the 13th of July 1966. 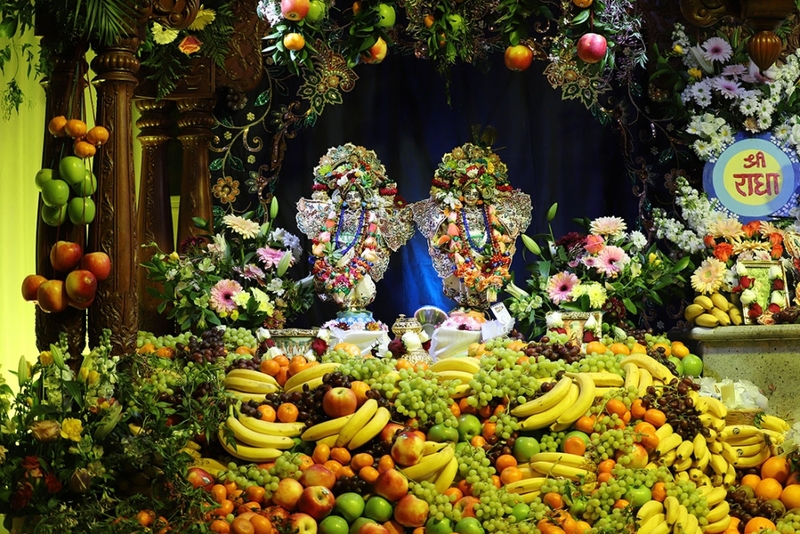 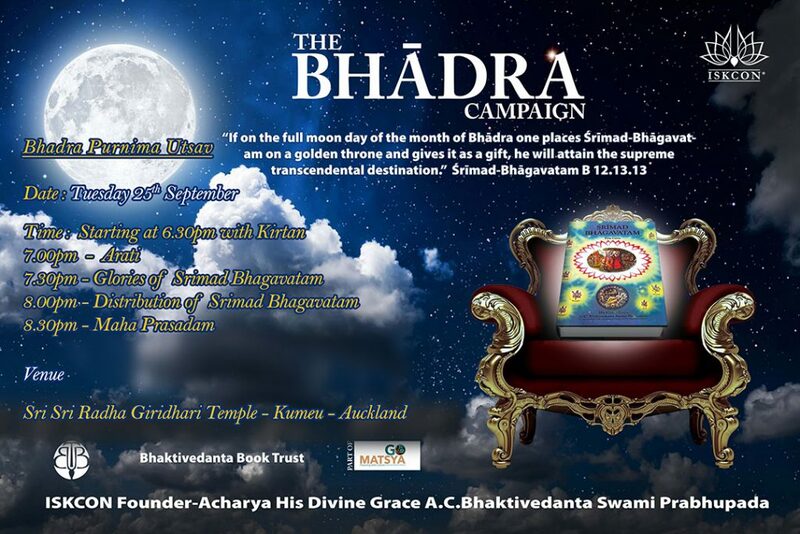 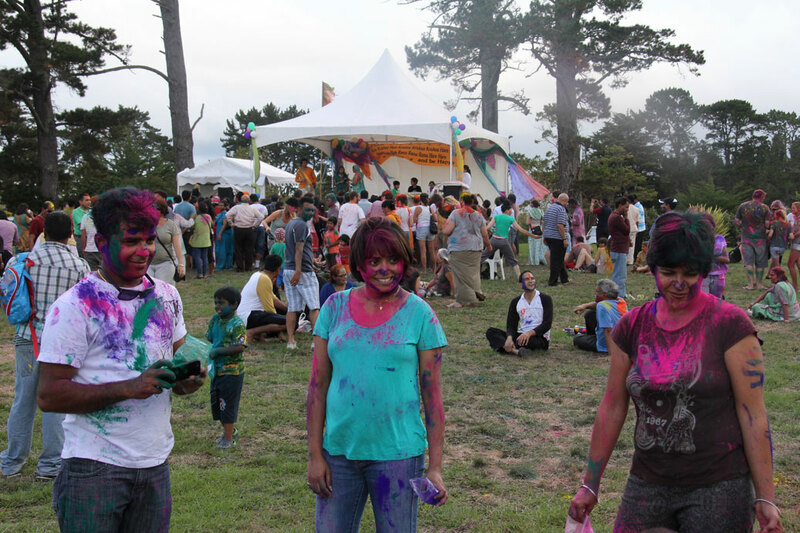 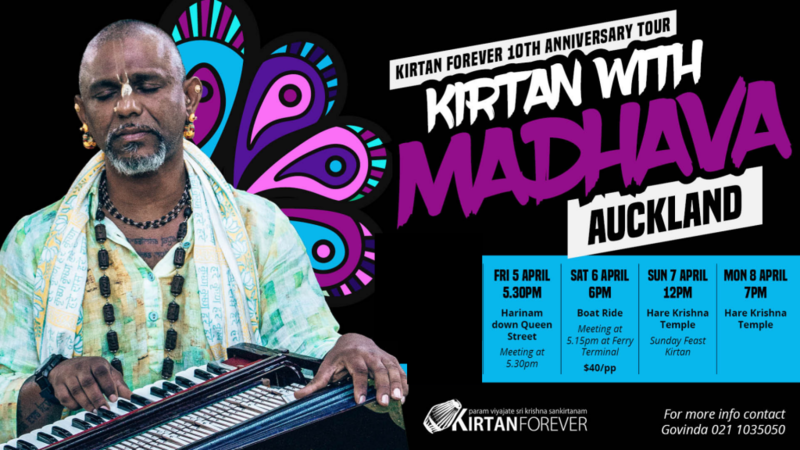 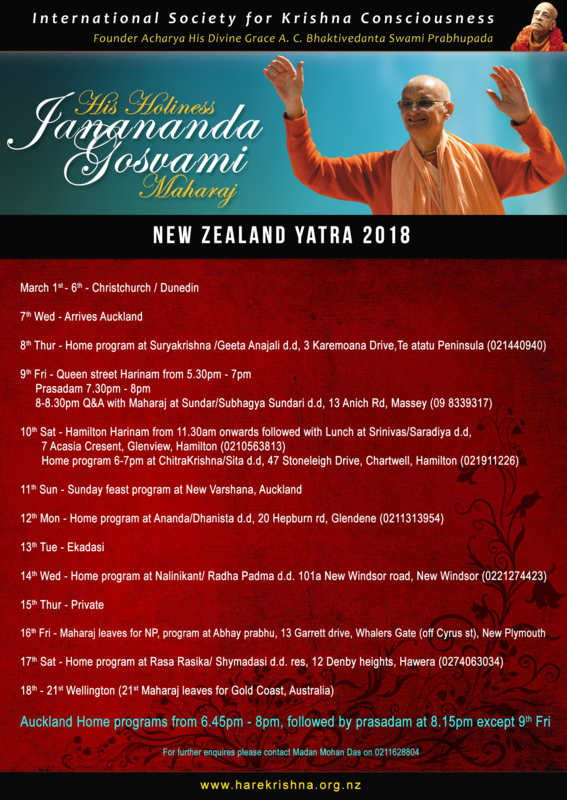 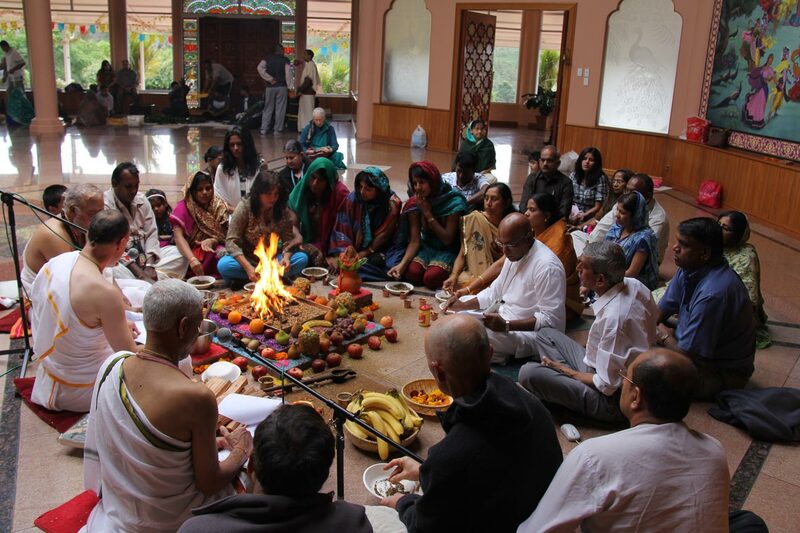 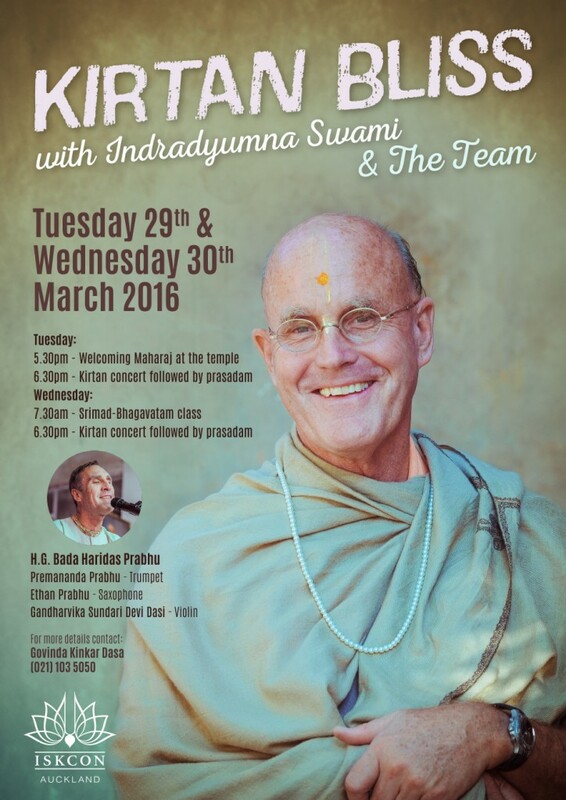 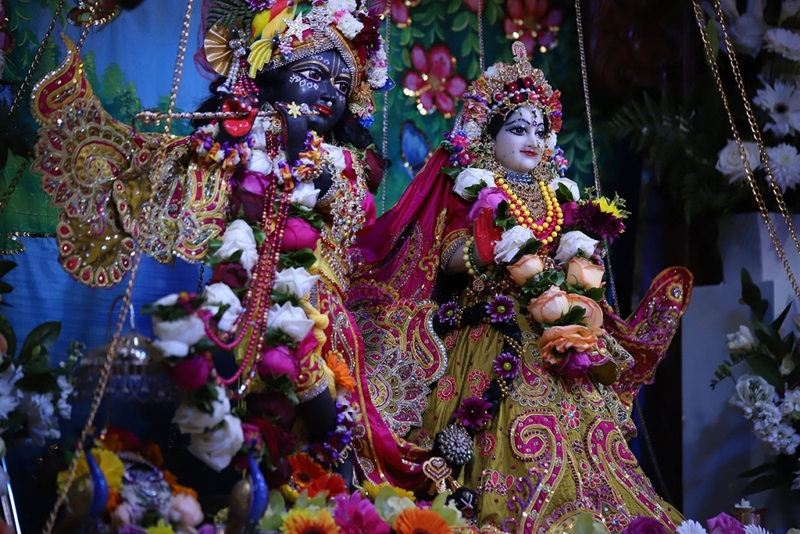 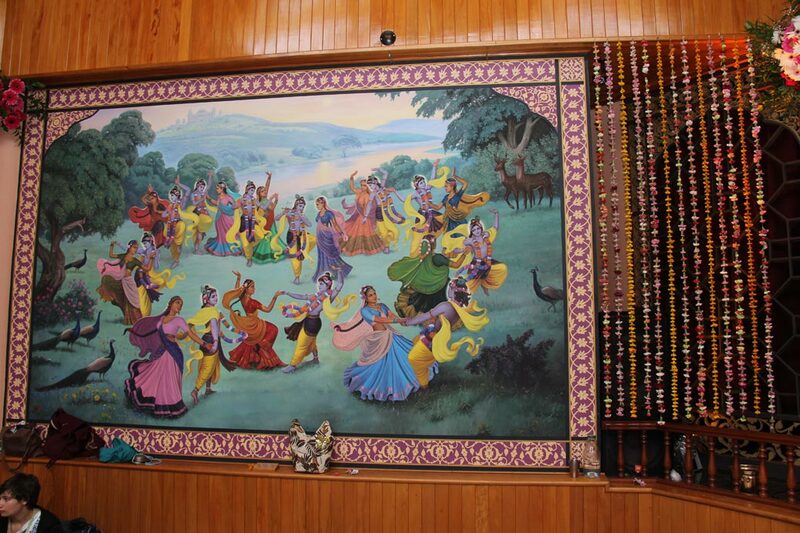 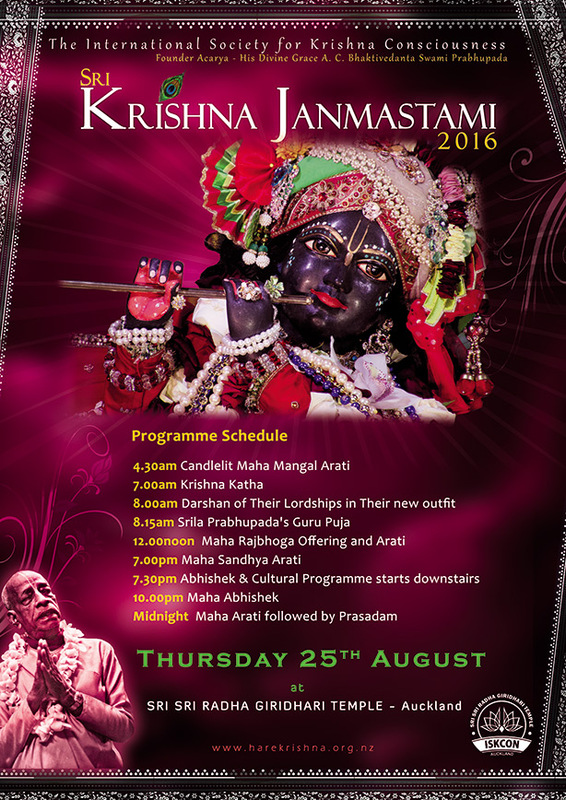 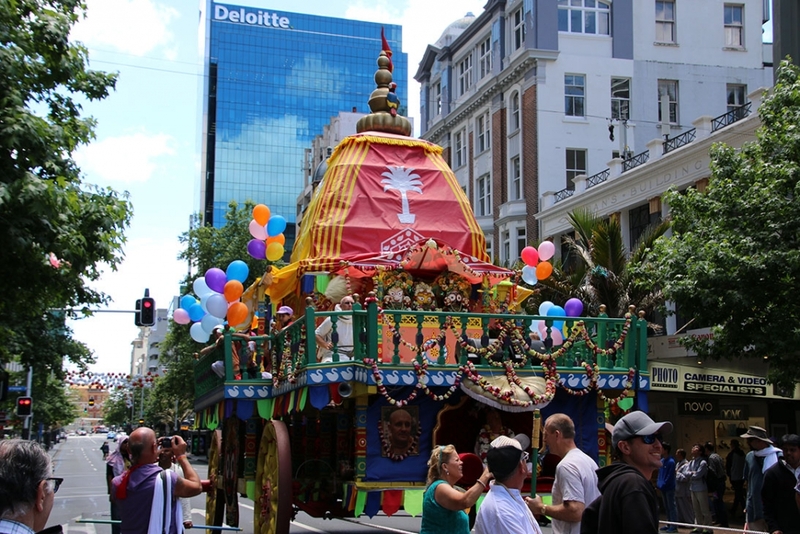 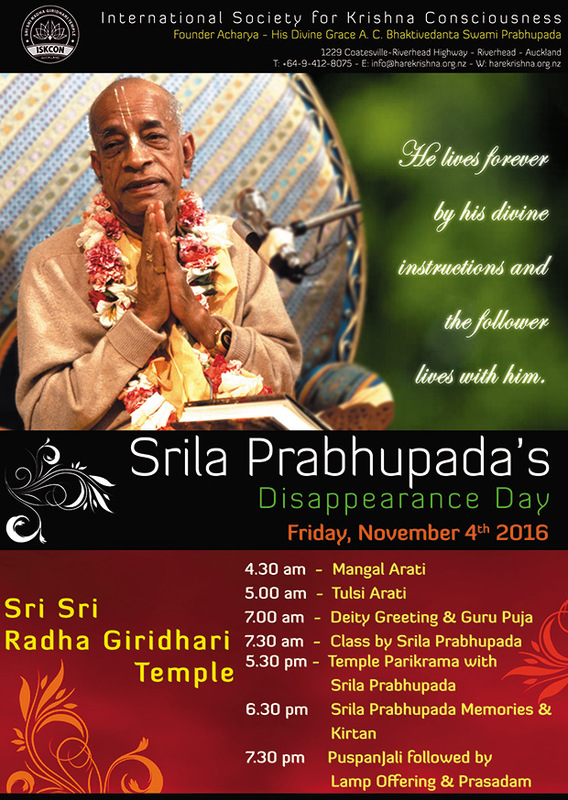 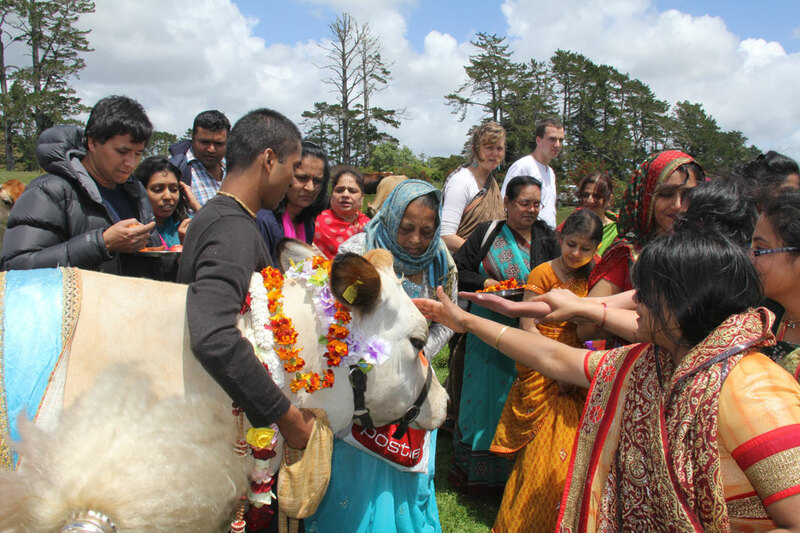 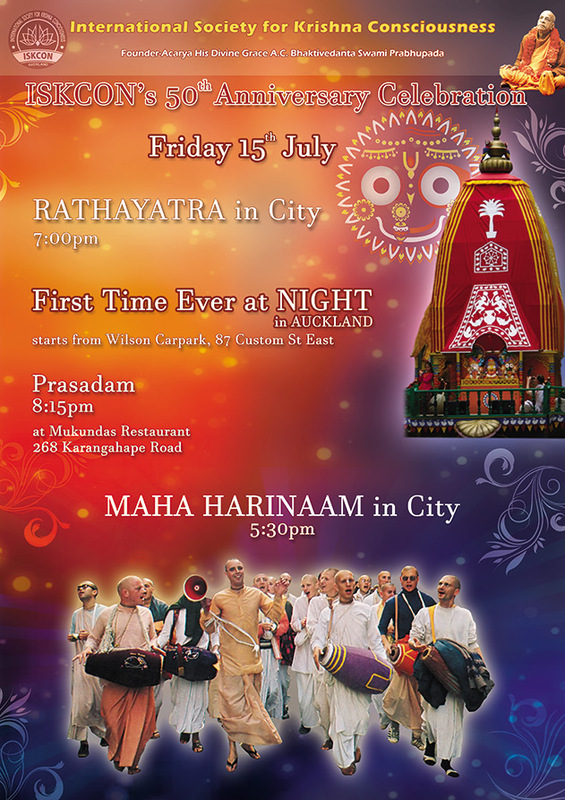 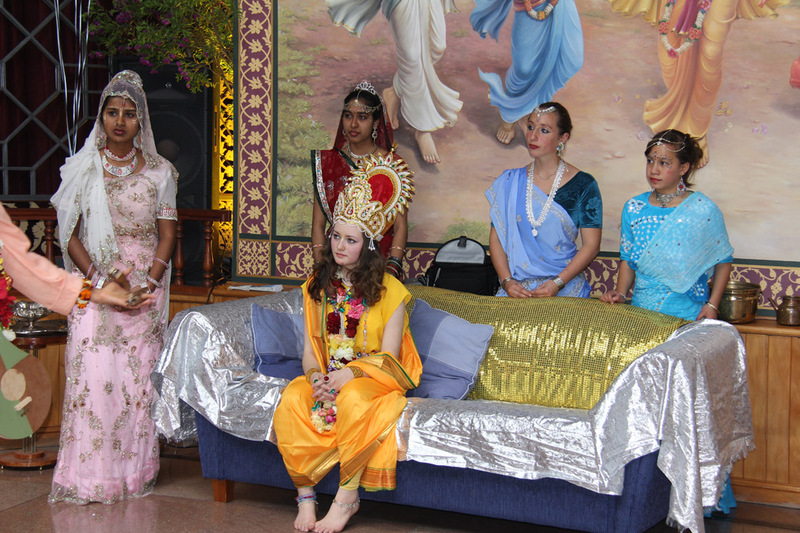 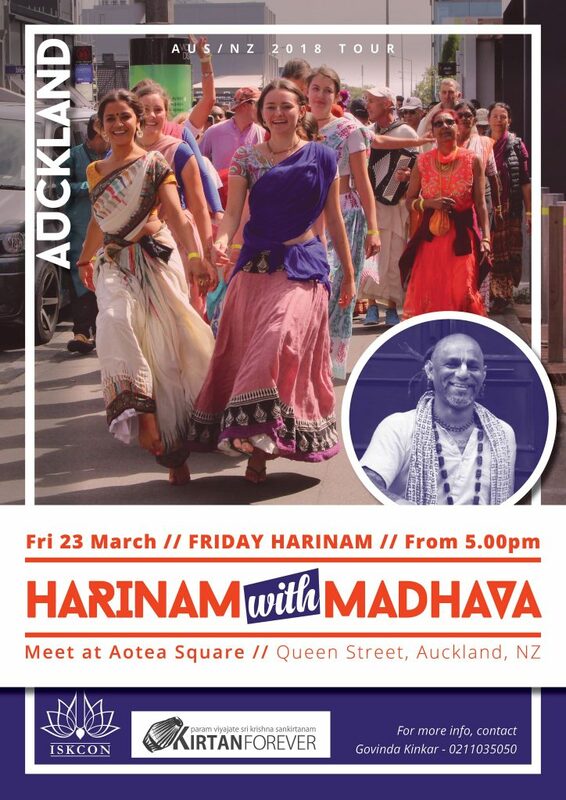 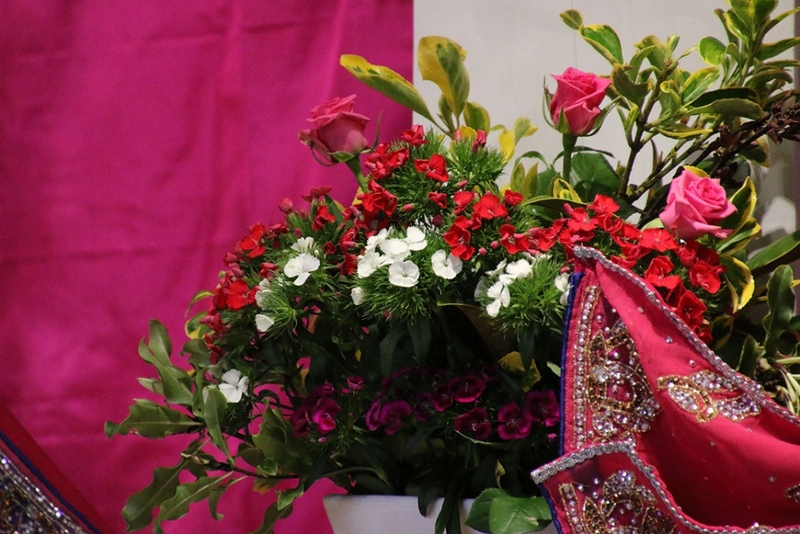 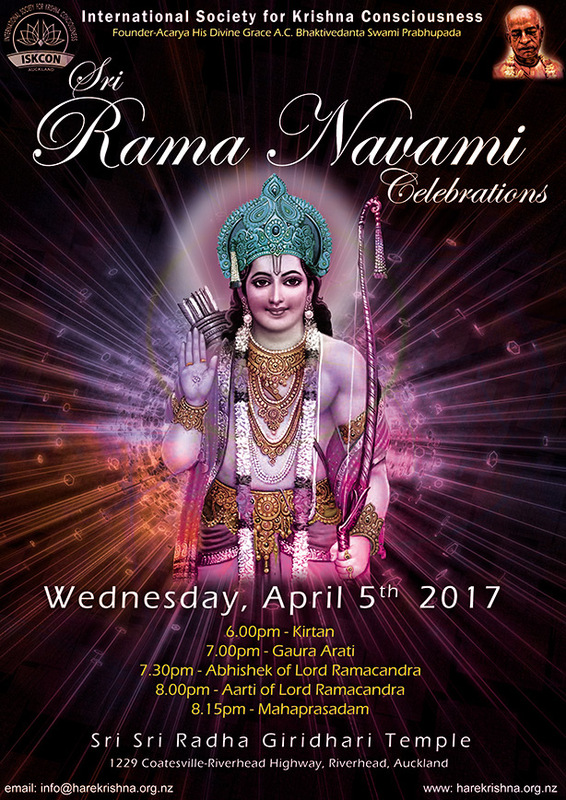 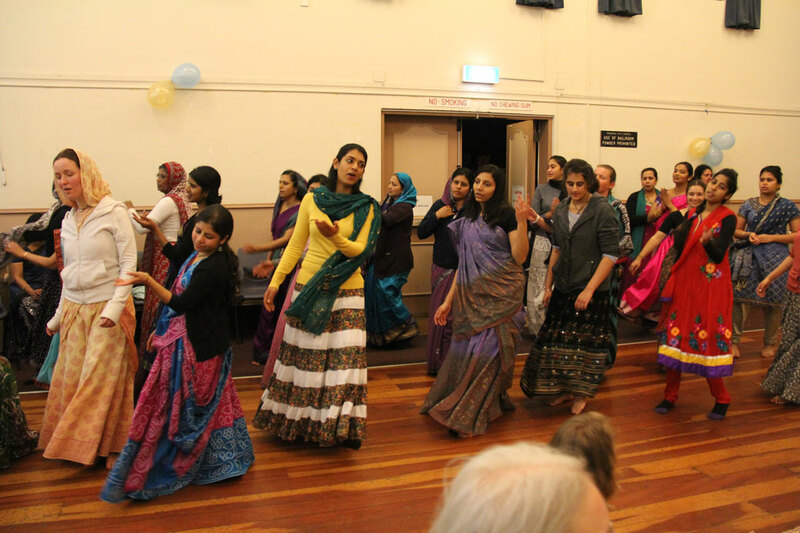 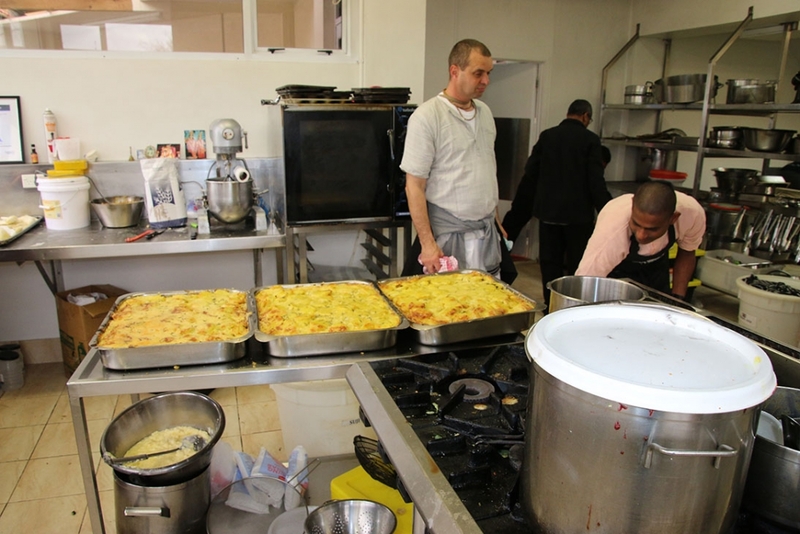 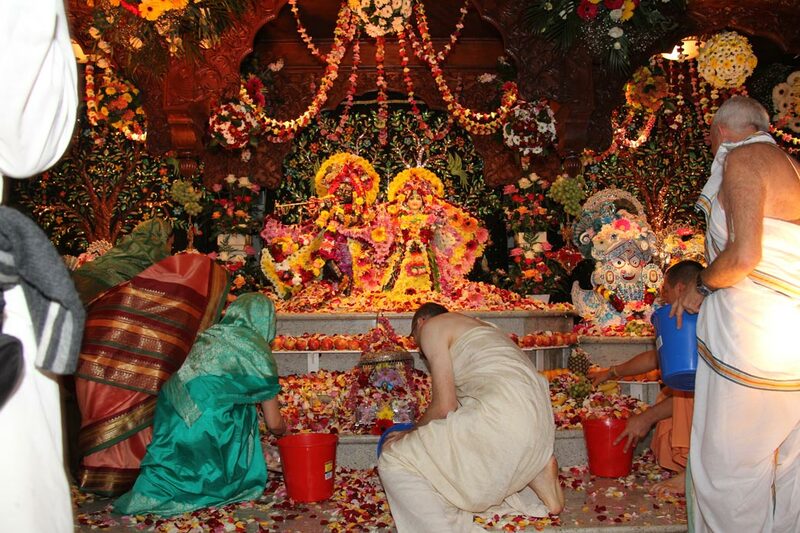 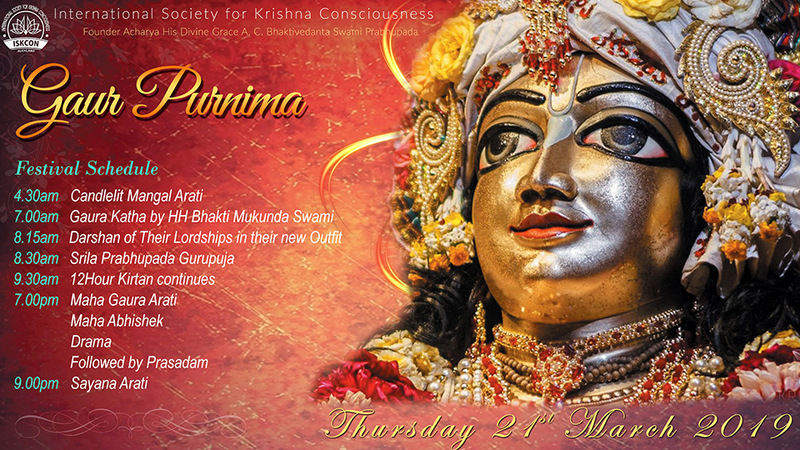 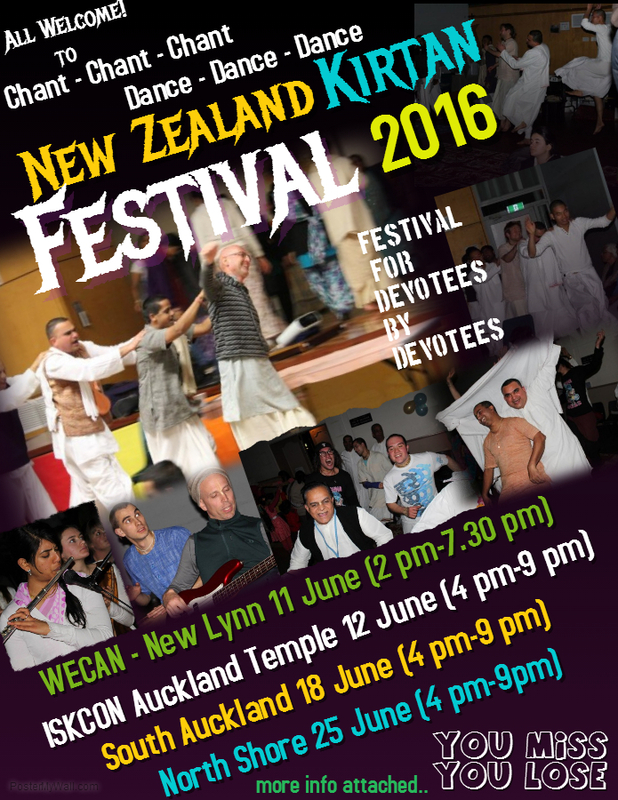 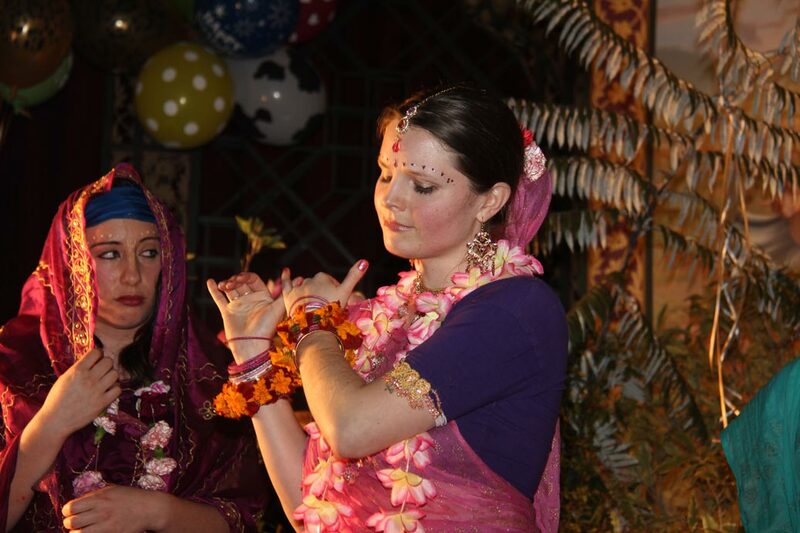 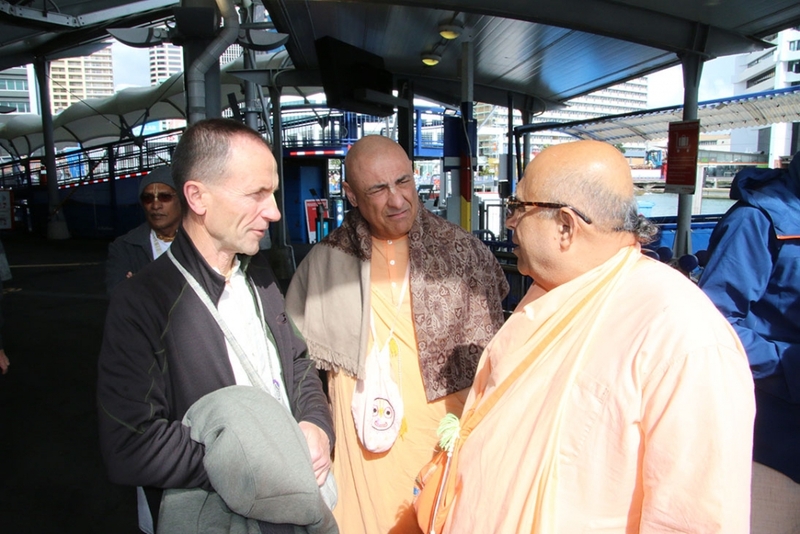 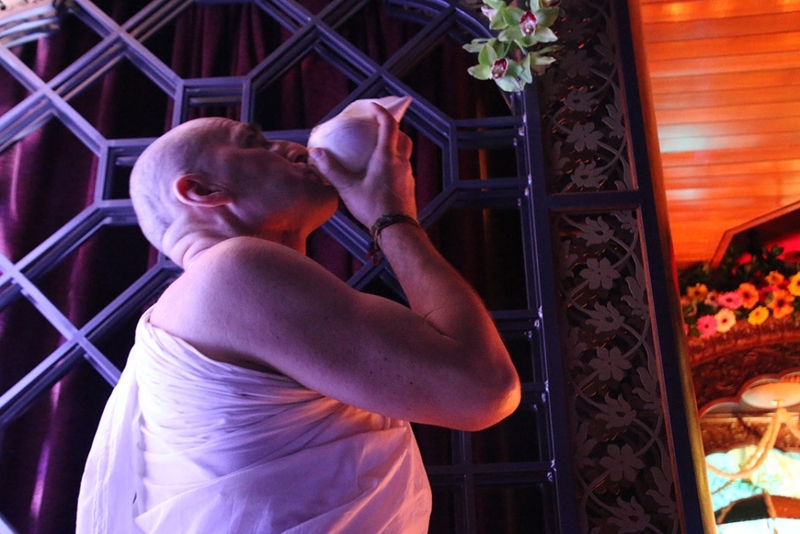 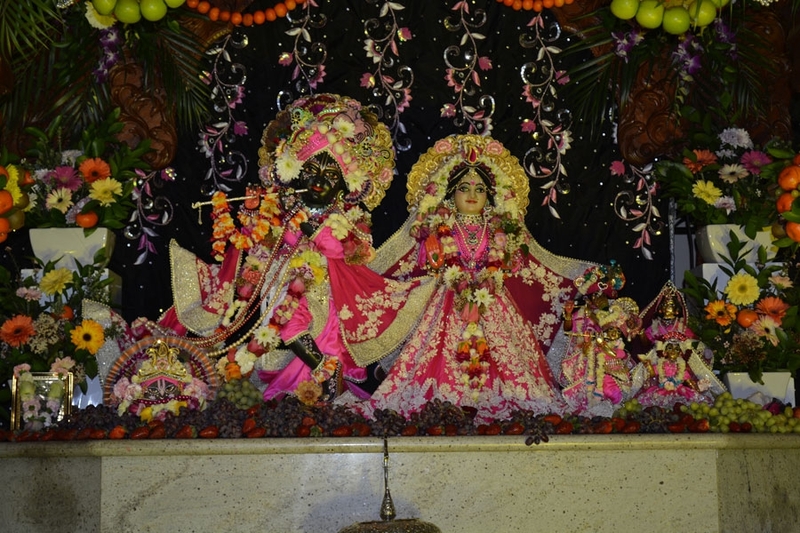 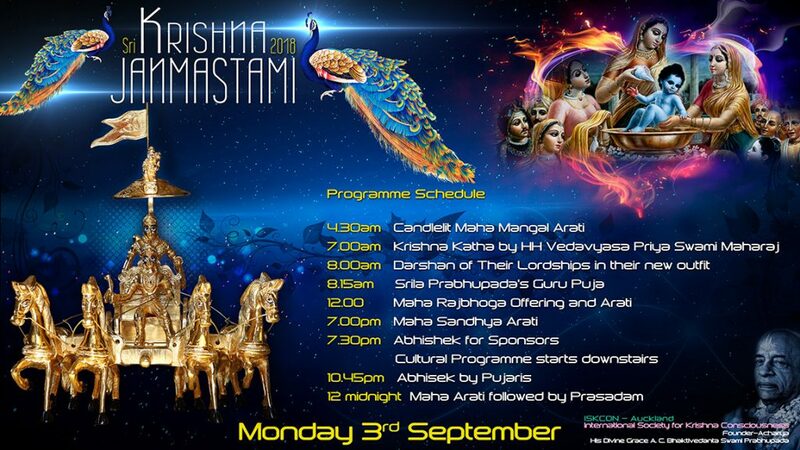 We will be celebrating the 50th anniversary at the Auckland Hare Krishna Temple between the 15th and 17th of July 2016. 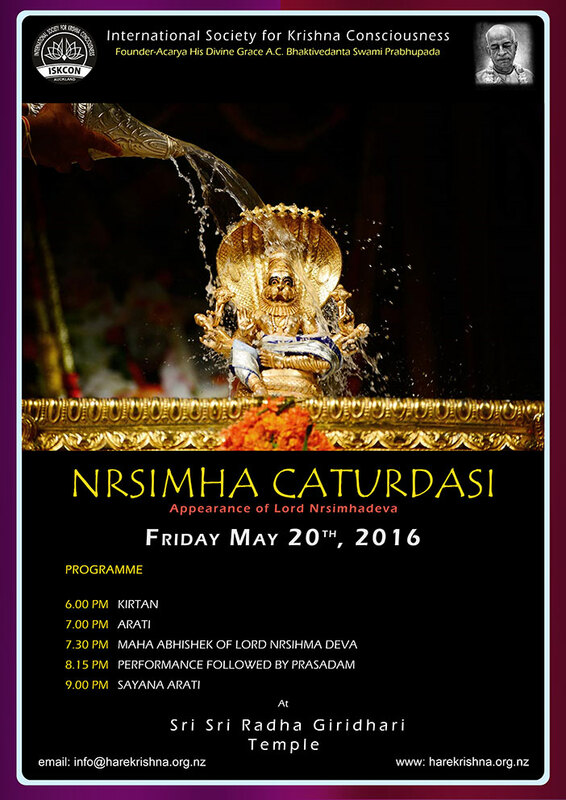 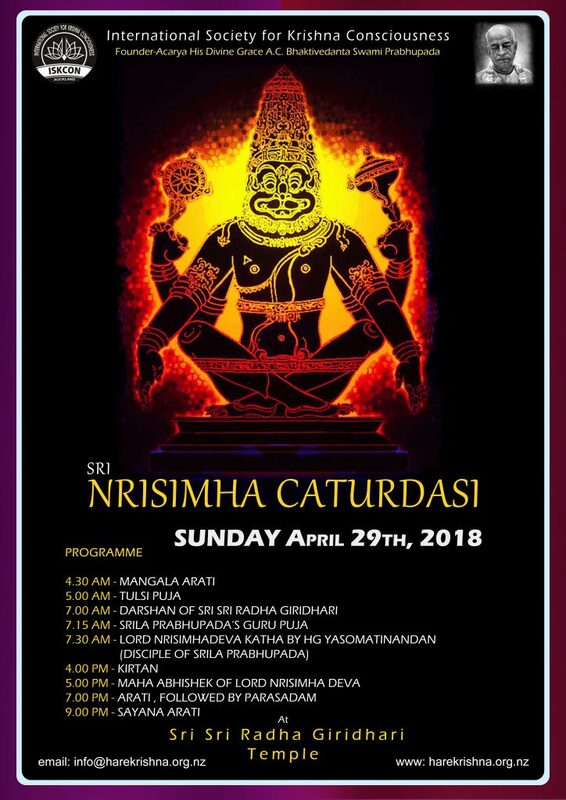 Friday 20th May – Nrsimha Caturdasi: Appearance of Lord Nrsimhadeva. 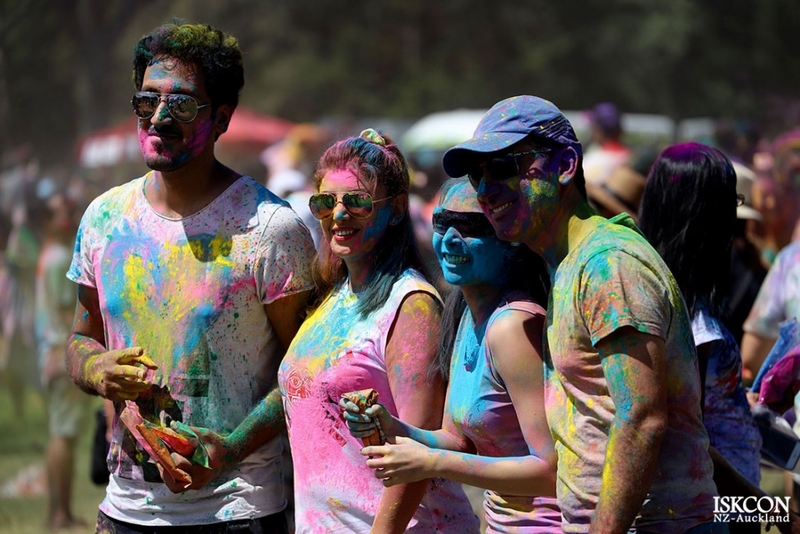 Starts at 12pm, parking on-site, colour dye available on-site.